HODIE 2a vice lecta est Billa, for the true making of Broad Cloth. Eodem die, 1a vice lecta est Billa, against Simony, que commissa est Comitibus Salop. et Rutlande, Episcopis London. Winton. Norwicen. et Gloucestren. et Domino Cobham, et Domino Wentworth. Eodem die, 2a vice lecta est Billa, That no Person shall grant the Advowson of any Benefice before the Death of the Incumbent, et commissa est ad ingrossandum. 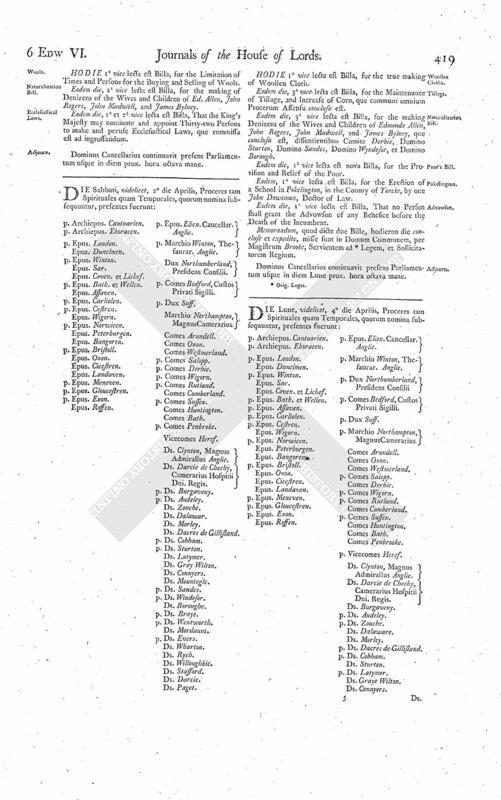 Eodem die, 2a vice lecta est Billa, for the Establishment and new Erection of a Free Grammar-School in Pokelington, in the County of Yorcke, founded by John Doweman, Doctor of Law. 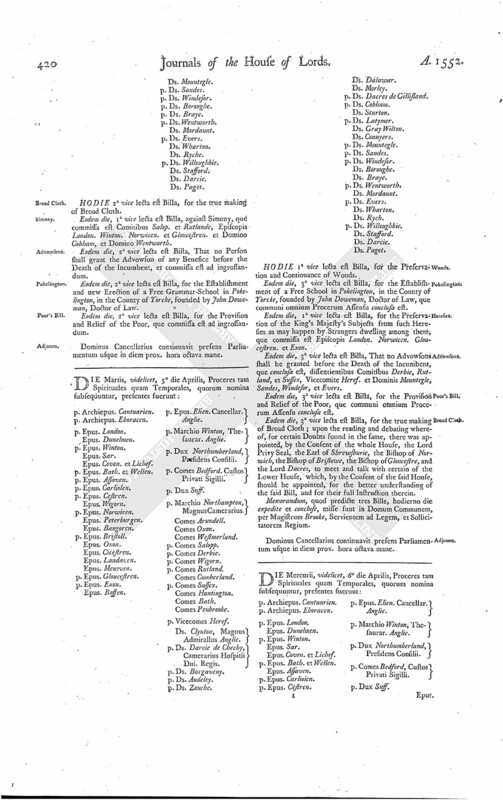 Eodem die, 2a vice lecta est Billa, for the Provision and Relief of the Poor, que commissa est ad ingrossandum.